Modular Conveyor Express is the manufacturer and provider of a quality, pre-engineered, value-priced, line of conveyors. Modular Conveyor Express designed and manufactures these conveyor families: Table Top conveyors, Mat Style Conveyors, Belt Conveyors, Low-profile Belt Conveyors, Rotary Tables and Vertical Lifts. 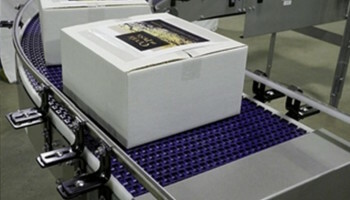 Table Top conveyors are the workhorse of the packaging and product handling industry. Our pre-engineered table top conveyors are built for long lasting durability, but with the flexibility to fit into many plant floor layouts. 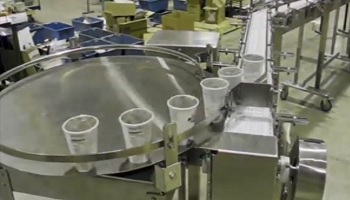 Read more on our Table Top Conveyors page. The Vertical Lift Conveyor (Gripper Elevator) has the advantage of securely elevating (or lowering) product using very little floor space. Side grippers firmly but gently grasp the products traveling in line with continuous transport through the elevation change. Learn more on our vertical lift page. Modular Conveyor Express line of matstyle conveyors are designed for package and product handling versatility. 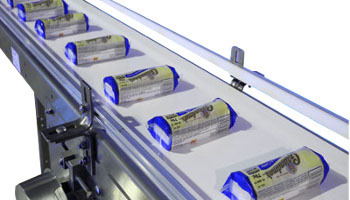 Our Mat Style Conveyors components fit into many packaging line layouts. We have pre-engineed and in-stock components as well as quickly fabricated bolt-on components. Learn more on our Mat Style Conveyors page. Rotary Turntables, also referred to as accumulation conveyors, accumulation tables or unscrambling tables, are designed to support a variety of conveyor system requirements. They are often used with round containers such as bottles to accumulate bulk, or unscramble bulk so that they can be discharged in a single file line. 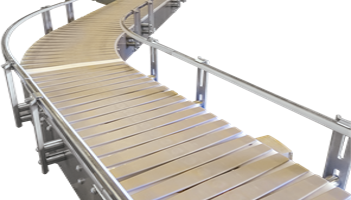 Learn more on our Accumulation Conveyors page. Modular Conveyor Express’ stainless steel low-profile belt conveyor is suitable for smooth, non-porous conveying applications. These belt conveyors are also used when friction is required. 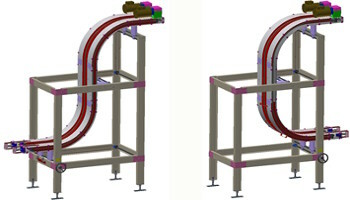 Read more on our Modular Conveyor Express Belt Conveyors page.